What is the shape of networks? 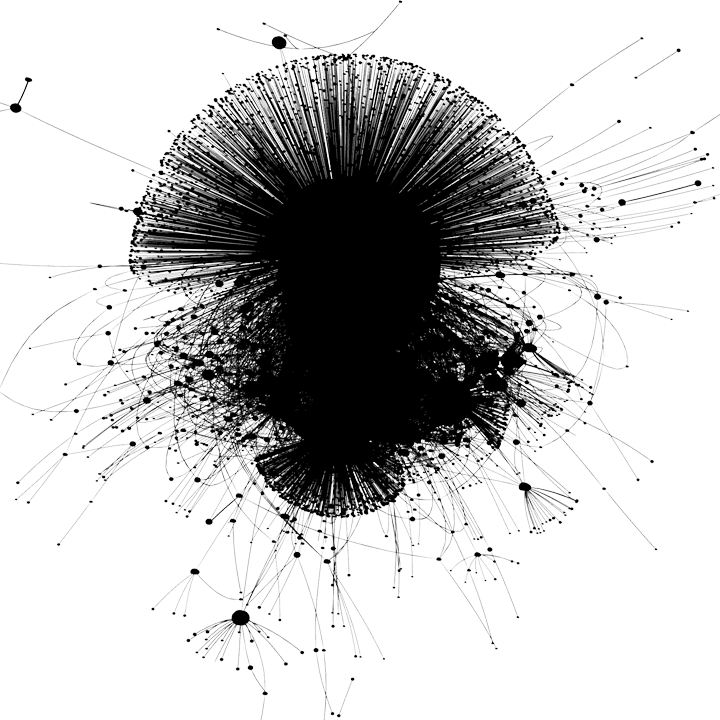 How do we experience network sculptures? Our goal with this project is to bring networks to life as physical objects, a testimony to their physical reality in spite of being an abstract mathematical construct. Networks are commonly visualized as node-link diagrams where nodes are generally represented as point-like objects and links as one-dimensional lines. 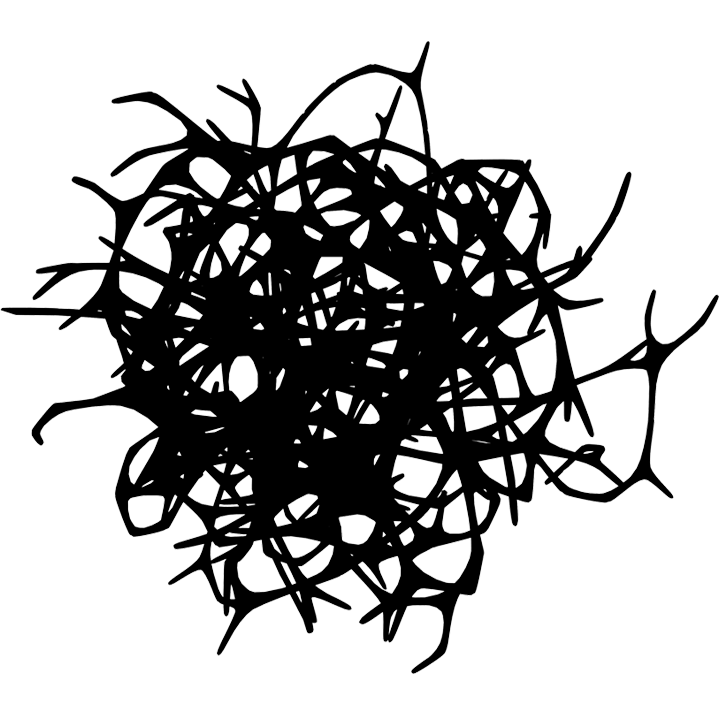 We add physicality to the nodes and links to create a manifestation of a network in form of a three-dimensional object. We are presenting the results of our research through 8 networks that you can explore with an interactive tool, 3D prints, virtual reality experience and video. 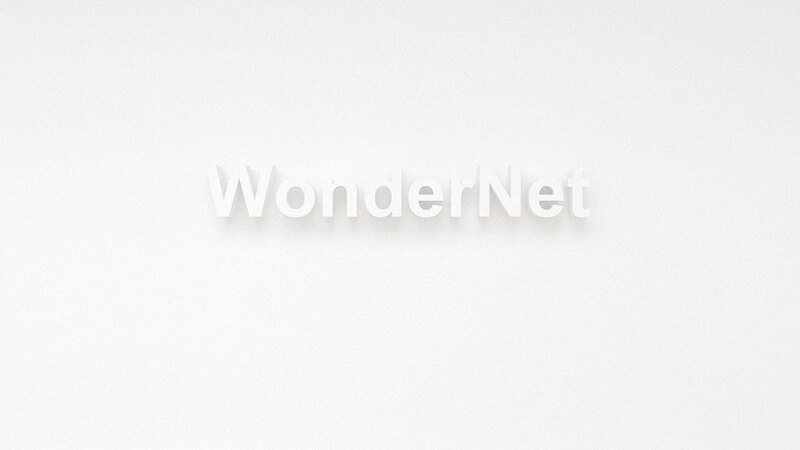 Art network shows Museums and Galleries grouped by geographical location. Connections between two institutions are formed when an artist exhibits at both. The Flavor Network is a correlation-based network of food ingredients based on the number of flavor compounds they share, formed by Ahn et al. The Diseasome Network is a network of diseases based on the similarity in genetic mutations causing them, derived by Vidal et al. 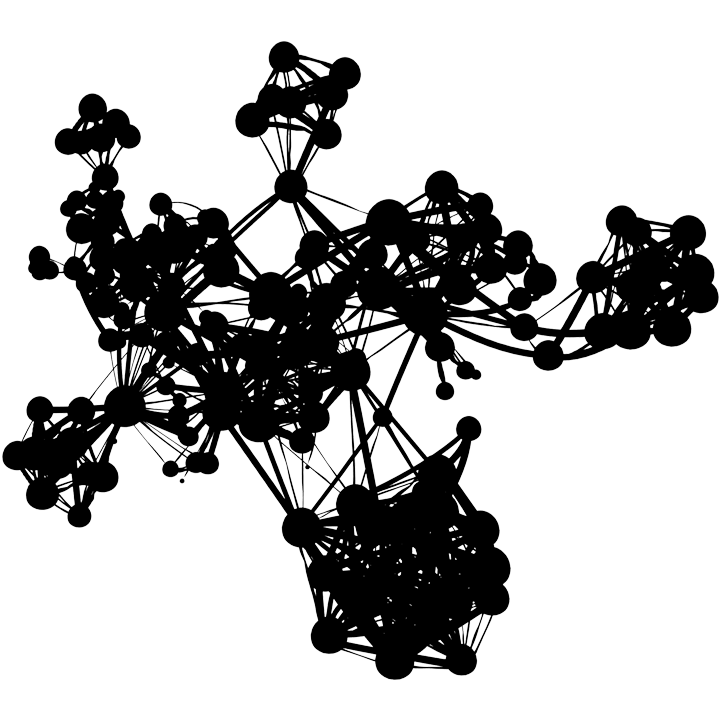 A scale-free network generated using the Barabási–Albert model. 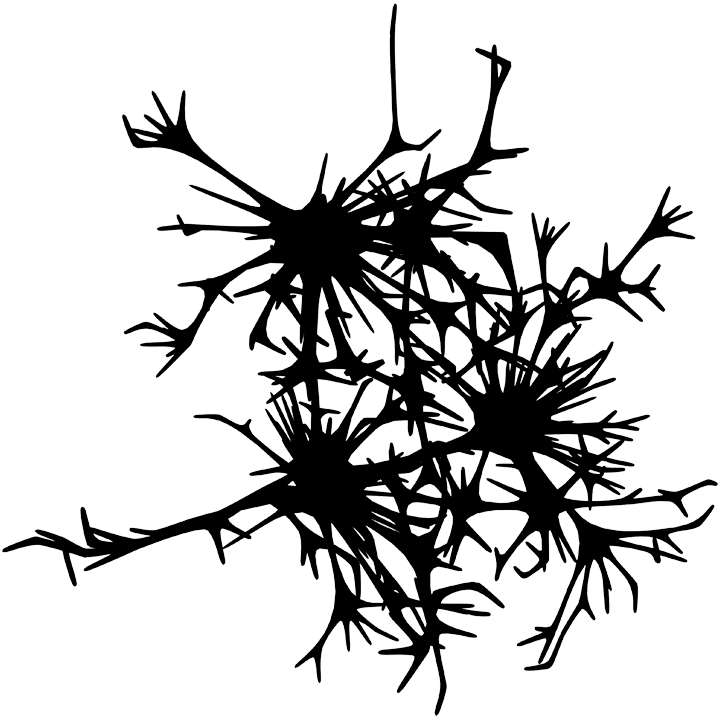 A random network generated using the Erdős–Rényi model. The Mouse Brain Network consists of bundles of axons connecting various brain regions. 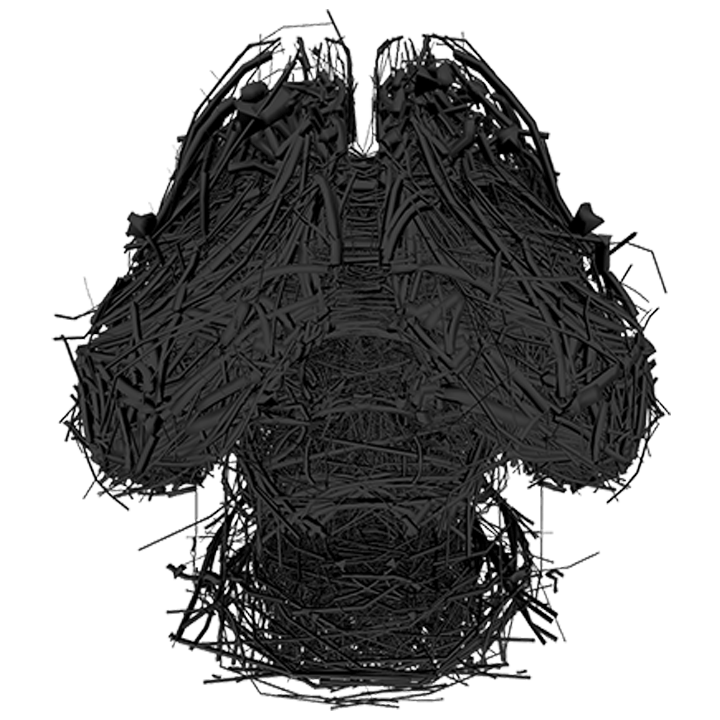 Data processed by Emma Towlson and Jose Brum from The Allen Institute Brain Atlas database. 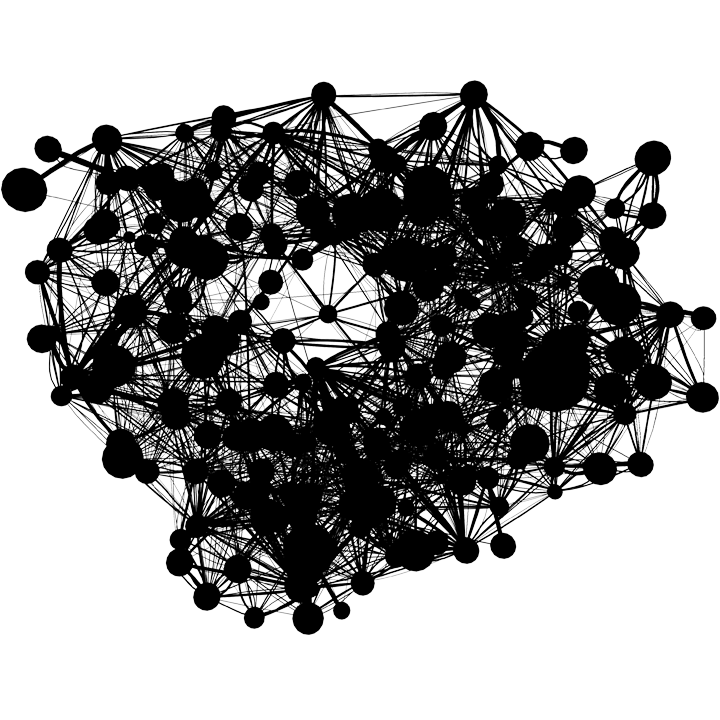 The Network of Scientific Disciplines where link weights are based number of citations from one field to another. Note the ring-like structure, revealing an interesting fact about dependence of various fields on one another. The Spread of fake news is a diffusion network of a popular fake news about #pizzagate shared by infowars (Details of the article can be found here). Accounts participating this online conversation collected by Hoaxy system and each account evaluated by Botometer to identify accounts with automation. How can physicality be achieved to form these highly intricate, structural, sculptural network forms? If links and nodes have physical reality and occupy space, in traditional network models this results in multiple crossings between nodes and links, imposing a non-trivial algorithmic challenge. We developed a novel layout algorithm which uses physical forces to push conflicting nodes and links apart from each other. Additionally, we wanted the algorithm to find the most economical layout possible, in the sense that the links are as short as possible while avoiding overlaps. We modeled links as elastic tubes, which repel each other to avoid overlaps, but also bend and curve to find the shortest paths connecting their end nodes, similar to self-avoiding polymers. We also wanted to have sufficient empty space around the nodes. We, therefore, introduced short-range repulsion forces to make sure that nodes do not come closer than a minimum distance, which we adjust based on the number of links connected to the node. We encode all of these forces in a potential energy, which plays the role of a cost function. To achieve a desirable layout, we dynamically simulate the physical forces by performing gradient descent on the potential energy, and to avoid bad local minima, we run simulated annealing, which adds thermal fluctuations that allow the links to travel through each other so that the system can escape undesirable states. A small network with N = 6 nodes laid out with FDL, resulting in multiple link crossings, shown as red links. The animation shows how the network is laid out by ELI that resolves the crossings. We model each link as a stretched, flexible rubber band, corresponding to many short springs connected to each other, pulled apart by elastic forces. The animation shows how a small network with six nodes is laid out by FDL (Force Directed Layout) and ELI (Elastic Link Mode). Nodes are Museums and Galleries. Links mean an artist exhibits at both nodes. 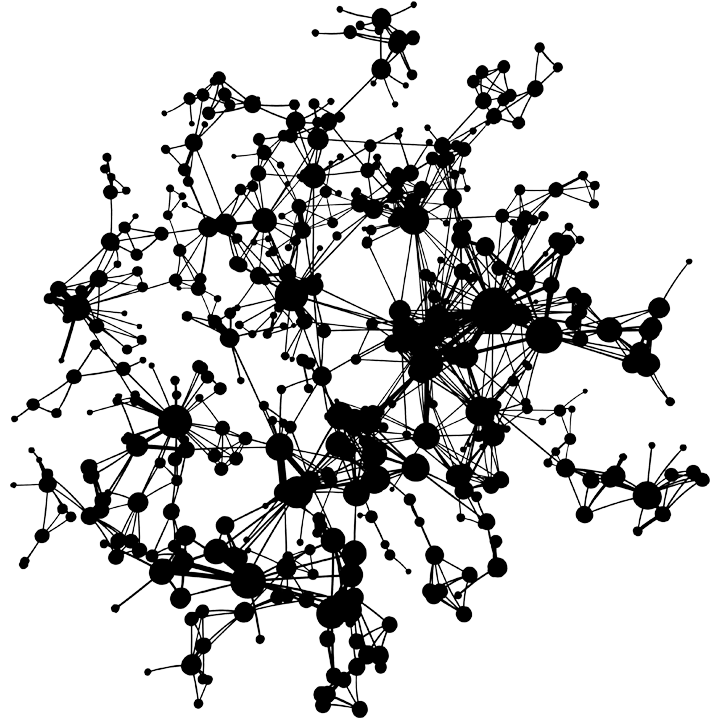 Nodes represent food ingredients. Two nodes are connected if they contain a similar "flavor compounds" (e.g. chemicals related to odor or taste). For instance, chocolate and blue cheese share 73 compounds. Links are bundles of axons connecting various brain regions. 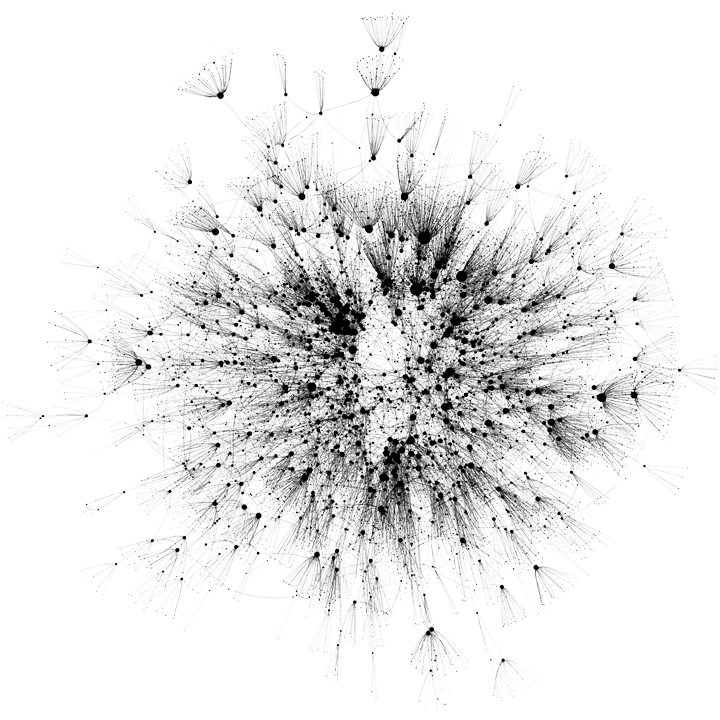 Node are brain regions (not shown for clarity). Nodes are twitter accounts (only the ones connected to fake news website InfoWars; many nodes are bots). Links represent retweeting about #PizzaGate.